Alright, let me start out by saying I am sorry for the less than stellar photos on this. I taught a craft class for a group of 8 people to make a Christ focused scripture advent calendar and wanted to share the groups projects, and the directions for those who took it home as a kit or may have some remaining parts to finish. Hardy board, MDF, plywood, any other material of your choice. Cut to 12 inches wide, and 21 inches tall. Wood tags. I bought these at Michael’s for $0.49 each. 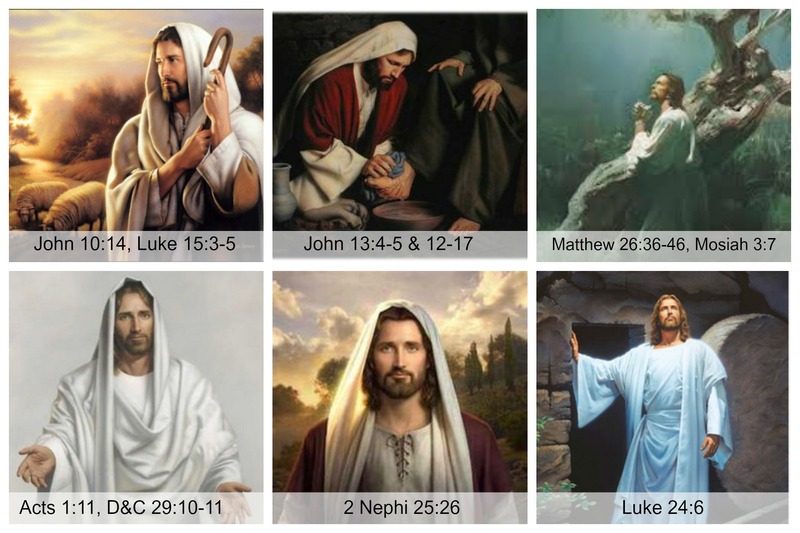 Photos for the back of the tags – I have included the images I used for my tags – telling stories of Christ, including corresponding scriptures. They are sized for a 4×6 and I printed them at my local 1 hour photo lab. Cut the board to size. You can use a table saw (the husband used our ryobi table saw but you could also have it cut for you at home depot). Save the remnant piece to add some dimension to the title board. Paint Your Board – For the sample board I used chalk board paint so I could write different activities on the back of the board. For the class I bought some chalk board sticker paper to attach to the back. Paint the wooden tags – we spray painted them so they dried faster. Any paint would work. Cut out patterned paper in desired shape. Use a circle (or square) punch to make it easier. Cut out patterned paper for the title board. Trim the pictures for the back of the tags. Attach numbers to tags, attach title to title board. Glue shapes to tags with Mod Podge. Glue paper to title board. Line up tags and attach the nails and title board. because you need 25, I just attached some extra photos for the last sheet. I doubled them up to save money on printing. Feel free to do whatever you like for the last print. Thank you so much for sharing your picture files! For some reason every time I click on the last one, it brings up the previous collage. I have files Jesus1 – Jesus4 but can’t get the last one. Also, I was wondering if you have these saved in photoshop with the layers. I have a friend that wants to make this that isn’t LDS and I wanted to change some of the verses to just Bible references. If you don’t that’s ok. I’ll figure something out. If so, could you email them to me? Thank you!! Thanks for the info. Let me see what I can find, I will email you here in a minute (and update the file). I am new to blogging and wanted to be sure that this was ok. http://www.a-zschoolers.com/2015/12/christmas-adventures.html I modified your idea a little because of lack of time. I don’t want to do something wrong. I plan on making one like yours when I have the time I will send a pict. Let me know. Thanks your ideas are awesome.